Champion System Pro Cycling Team has added firepower from the southern hemisphere to its roster as it continues to build for 2012. The team is looking to become China’s first UCI Pro Continental team next year and has signed Australia’s Will Clarke and Aaron Kemps plus the New Zealander Clinton Avery. Clarke competed with Leopard Trek this season after riding as a stagiaire for Ag2r-La Mondiale last year. While his best performance came in the Volta a Catalunya where he finished seventh on stage four, the 26 year old was seen riding in support of his teammates throughout the season. He is an all-rounder and although he’s a latecomer to cycling, he is believed to have great potential. He’ll be joined by the experienced Kemps who turned professional in 2005 with Liberty Seguros and has ridden for Astana and Rock Racing. The Australian has spent the last two years on V Australia racing predominantly in the USA and Asia, winning stages in the Tour of China and Tour of Qinghai Lake. The team will be managed by Ed Beamon who has worked with Fly V and Team Type 1 and who, like Kemps, was set to join the ill-fated Pegasus team. “We’re fortunate to have three strong and experienced players from the Southern Hemisphere” said Beamon. “Aaron certainly has the most depth of experience. He is a very fast finisher who will have the opportunity to take a leadership position in the kicks next year. Will and Clinton are big strong guys who like the aggressive racing and I think they add a real depth to the program. The fact that Aaron and Will have a winning history in Asia really compliments what we’re attempting to accomplish with the Champion System team”. 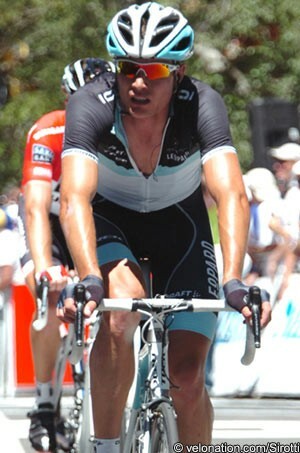 Kiwi Avery had the opportunity of riding with Team RadioShack as an apprentice last year and also signed with Pegasus. After the team failed to get off the ground he returned Belgium while trying to gain the attention of the bigger teams in the sport. He won numerous races this season including a stage at Kreiz Breizh Tour. Former Tour de France yellow jersey wearer and multiple stage winner Jaan Kirsipuu acted as the team captain this year and at 42 years old will again return to the road with Champion System next season, delaying a second retirement.